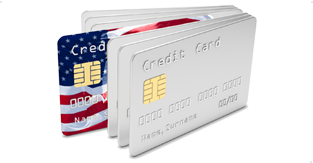 In its latest white paper, Frost & Sullivan stated that the U.S. – which is still in the planning stages for EMV – needs to seek a single migration project that will prepare the country for an EMV and NFC-enabled payment environment. The document addresses the current structure in place to accelerate EMV adoption, but explains how that structure could be used to support NFC as well. The white paper, entitled entitled “Managing the Migration to EMV and NFC Payment Technology – How to ensure the successful and efficient market deployment of a product” details the certification process as well as the functional and security standards associated with EMV deployment. The paper aims to offer insight to U.S. issuers and acquirers preparing to embark on EMV implementation projects. The paper also peers into the future of the payments landscape and identifies industry specifications that are not mandatory but are likely to shape the next generation of payments.